Maxwell Street Foundation website Walking Tours! 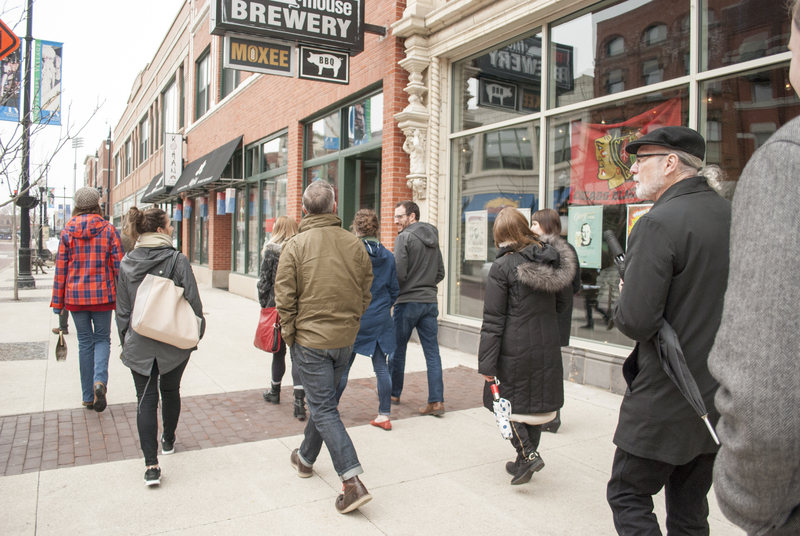 Guided walking tours of the Historic Maxwell Street Neighborhood by the Maxwell Street Foundation are by appointment only. Please take the online walking tour on our website! With this interactive map, you can also tour the Maxwell Street neighborhood on your own with your smartphone! While there, enjoy the traditional food stands on Union Avenue north of Maxwell Street, or at one of the numerous restaurants on Maxwell and Halsted Streets today! Street parking is available, and also in the UIC Parking Garage at 701 W. Maxwell St. For more information, contact info@maxwellstreetfoundation.org, (312) 243-0394. All images published by the Maxwell Street Foundation within this website are copyright of the artist and are for educational, personal, and/or noncommercial use only. For any other use, please contact gro.n1555622011oitad1555622011nuoft1555622011eerts1555622011llewx1555622011am@of1555622011ni1555622011.